DSRAZOR for Windows provides tools to audit your vital Active Directory group membership details. 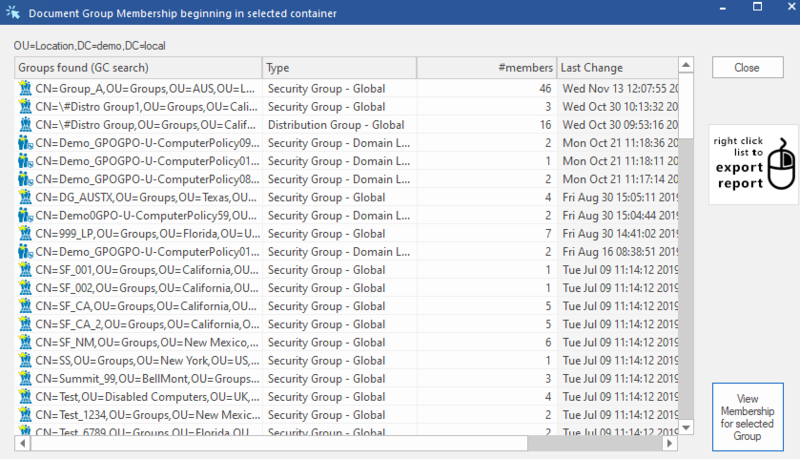 Using our ready-to-run reports, you can list your Active Directory Group membership and export it for management purposes. 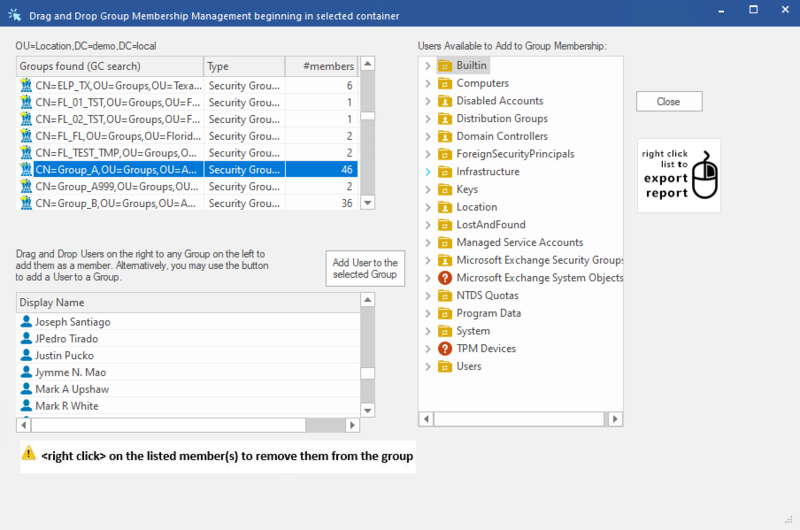 DSRAZOR lets you quickly and easily manage group membership of any user/group within Active Directory via its drag-and-drop applet.